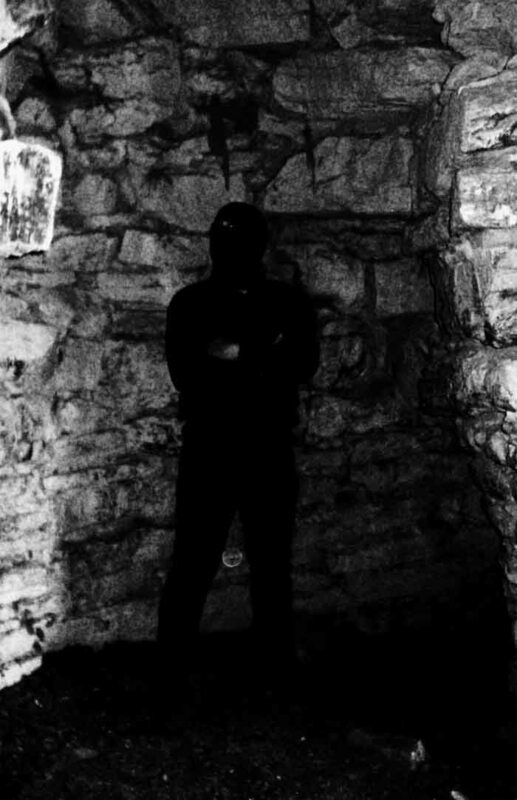 Sorcier des Glaces announced on their Funbook page that their last two albums, Ritual of the End and North, are out now on vinyl LP from Obscure Abhorrence Productions. The albums were some of The Best Underground Metal of 2014 and 2016. 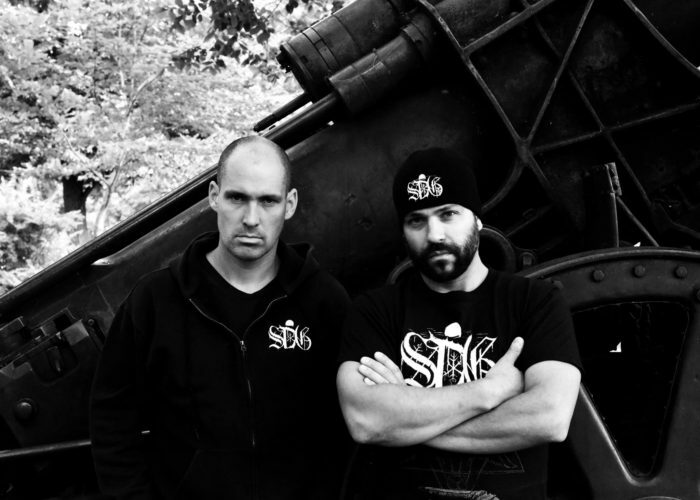 They can be ordered from Obscure Abhorrence Productions on the label’s website. 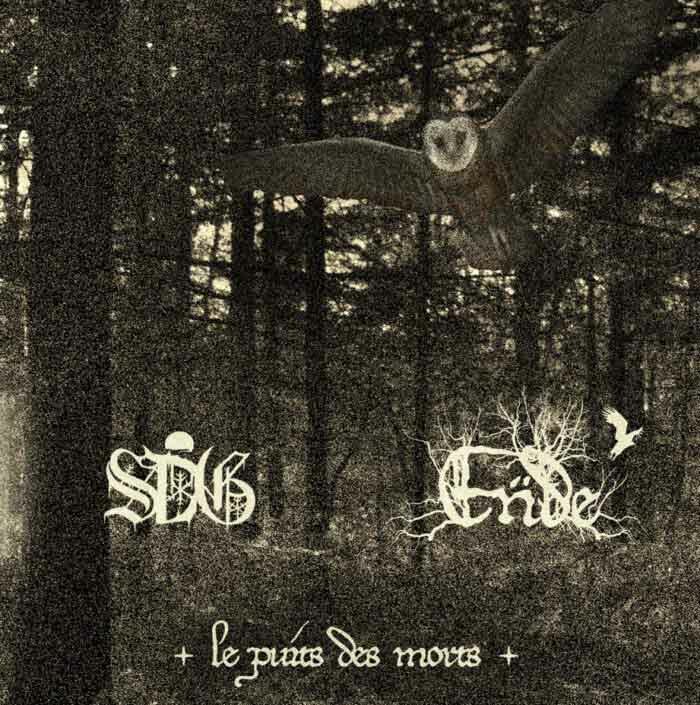 Le puits des morts is a split album featuring Sorcier des Glaces and French black metal band Ende. On the first side, Sorcier des Glaces present four all new songs in their distinctive style of epic black metal continuing from their last few albums (including North from earlier in 2016) after the band’s abandoning of keyboards. Sorcier des Glaces and Ende are releasing a split CD on Obscure Abhorrence Productions out September 22nd. The song “Le puit des morts” features several guests including Monarque, Nordet (Brume d’Automne), Blanc Feu (Chasse-Galerie, Cantique Lépreux), I.L(Ende) and Athros (Forteresse). Sorcier des Glaces are having a prolific year. Already having released a new album, the Wizard of the Ices has announced an upcoming split with Ende titled Le Puits des Morts and a remastered reissue of their second album, Moonrise in Total Darkness, on their Facebook page. One may listen to Moonrise in Total Darkness on Sorcier des Glaces’ Bandcamp and purchase the remastered CD from Galy Records. On a small ship in the Sea of Sardinia, I watched my companion cautiously. I had just seen him kill two men, one with a silenced pistol hidden under his battered sweater, and the other with his bare hands. We had changed cars five times since I left the airport, walked through a dozen train stations and busy stores, always leaving through the back door with a whispered command: Hurry!. Now our journey had taken its final stage, leaving the coast on a small boat and nipping through a series of coves, always watching land, water and air for any who might follow us. As I wondered this, a ripple on the horizon announced another small boat approaching. On it was a solitary figure, menace and fire in his cold eyes. 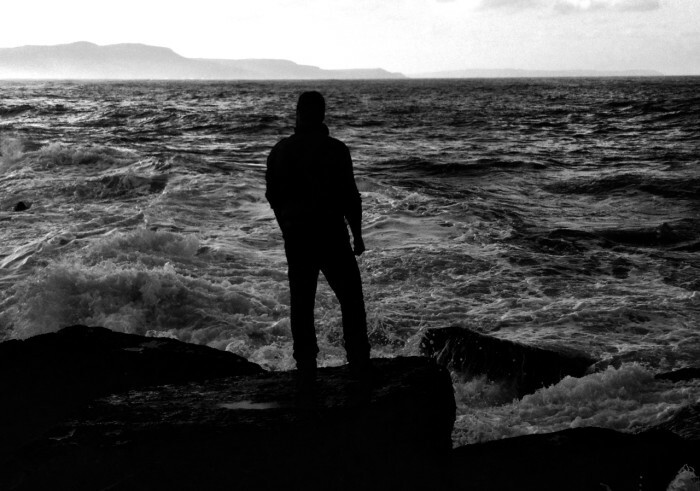 Is there any point to making black metal — or any music like it — in 2015? Black Metal is a radical form of expression and, in my opinion, the most expressive form of musical art. It is an essential need to express myself! It is my belief that this form of art can be conceived and understood only by “particular” souls. Surely, if you try to get rich or famous with this music genre, you have done everything wrong! Black metal is not for the masses and not for the bourgeois defeated by their lives. Black metal is a fire that burns inside of you! It is a weapon against weakness, a spiritual enlightenment, and the hammer that smashes this world of worms and disgusting merchants. If you don’t feel this inside you, maybe you should change genre! 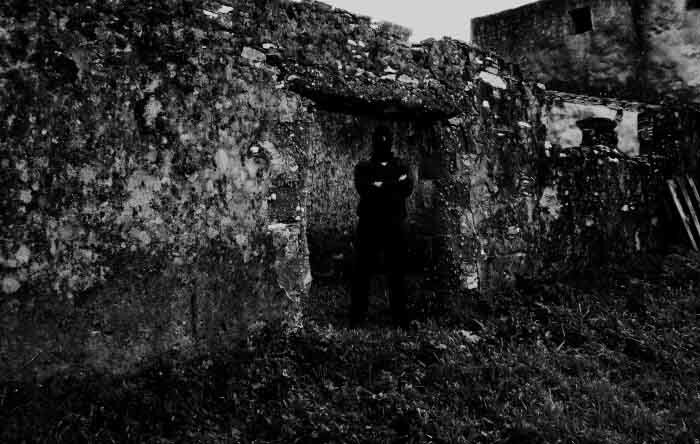 Your latest, Rovine e Disparazione, seems much closer to traditional black metal than previous works. What prompted this change? I think that the reason of this “change” is linked to the departure of Alessandro. With his keyboards, he created a great amount of “mystic” atmosphere in the first releases, especially in Of Solitude and Silence. The guitar riffs and the other songs structures, instead, are born from the same inspiration and move in the same way of the previous works. So far, there are three Infamous releases — Of Solitude and Silence, Abisso and Rovine e Disparazione — of which this reviewer is aware. Can you tell us what you intended to do with each one, and how it turned out? For example, did you hope to create a new style of black metal, refine your own style, or expand upon earlier ideas (of your own) or introduce new ideas? Each song which makes part of the three different Infamous releases is born thanks to a precise inspiration aiming at translating my emotional state in music. Many times, some reviewers have compared my project with other bands of this world. What is interesting is the fact that, at the end, they have recognized that Infamous sounds personal! I mean, what is important is not to create a new style but a good and emotional song in a traditional way. In short, the creation of a perfect synthesis of traditional and personal music, which is not necessarily innovative! This is sort of a silly question, but people will wonder, so I ask. There seem to be two versions of Of Solitude and Silence: a CD-R with an excellent cover, and a pro-CD with a more “regular” black metal cover that looks like a quicker job. How did these two editions come about? Is this album still in print? If not, will it be re-editioned? The first edition was published by a small underground Italian label (Novecento Produzioni) and limited to 200 copies. No one wants to print a Pro-CD in Europe in this small quantity. However, this first edition is definitely sold out. The second edition was published by the excellent German label Obscure Abhorrence in Pro-CD, limited to 500 copies. It is true that the artwork looks different from the first one, but the reason is that they were created by two different persons… I prefer the first artwork but also the second is not bad! The second edition is still available from the Internet site of the label or directly from me! In addition, recently, the Italian label Bylec-Tum has published, on limited tape format, the third version of this album with a series of exclusives bonus tracks. Can you tell us where Infamous was founded, by whom, and who is in the band? Do you perform live or is this a studio band only? Do you choose anonymity for any reason other than longstanding black metal tradition (musicians calling themselves Quorthon, Warrior and Angelripper)? I choose semi-anonymity; S.A. is the acronym of my name and surname. I thought that it would have been more serious to avoid the grotesque nicknames typical of the Satanic B.M. scene. What are the influences on your style, both metal and non-metal, and both musical and non-musical? Are there influences from any punk genres in your work? Since the question will inevitably be asked anyway, is there an influence from Ildjarn on your work? I’m surely influenced by “modern” Finnish Black metal. For me, this is the most important scene and I’m heavily influenced by the sense of sinister melody which is typical of their style. Now, I turn my attention to your question, concerning Ildjarn. I was really shaped by his previous works, especially by his first demos and the first full-length. I listened to his art hundreds of times… Together with other Norwegian 90s bands, Ildjarn is one of my preferred bands! In line with the non-musical influences, I think I am influenced by all my open-air activities like mountains or woods trekking, fishing and sports in general. I consider myself as hunter of natural landscapes. Obviously, this aspect has a huge impact on my music! Um… no! This is the first time I have heard the name of this composer. Why did you switch to title(s) in Italian? Abisso and Rovine e Disparazione are in Italian in contrast to Of Solitude and Silence which is in English. Do you write lyrics in Italian as well? Of Solitude and Silence, outside of the title, has songs half in Italian (“Rex Verminorum” is in Sardinian language, a local variant of the ancient Latin) and half in English. Abisso has only the title in Italian language. Each song, in fact, is written (from the session musician WLKN, not by me) in English. Starting with Rovine e Disperazione, I have begun to use only Italian language because it is more easy and spontaneous for me; while, English language is more “melodic” and easy to insert in the music but, obviously, is not my language. What influences your sense of melody? It seems unique, like a mixture of black metal, folk, Oi and sentimental 1980s Goth-pop, but also with its own inspiration that’s nowhere on the map. As I have mentioned above, I’m influenced by Oi!-R.A.C. and Black Metal, but not by “1980s Goth-pop.” I think the Northern European Oi! scene of the 90s is my second main influence, obviously after Black Metal. Maybe, a little bit by Neo-folk but in my music, at the same time, there are not large spaces where I could insert neo-folk. It is possible that in the future this component will be increased. What do you attempt to capture, express or communicate through your music? Or… is this even the goal of music? Is music communication or decoration? What is the goal of your art? When I started, I was interested to vomit my hate and my need of destruction for this rotten world. Infamous was born to give voice to this emotional war, misanthropic destructive hatred and the contemplation of nature, especially its beauty-purity. Now, everything is evolved into an anti-modern propaganda and into a search of values for resist to this decaying world! Do you think there is a sound in black metal that is specific to Southern Europe? And to the countries individually such as Greece, Italy and Spain? In my opinion, each population has its land and each land has its traditions, sensibility and so on… According to this view, it is perfectly normal that every nation or geographic area has a common way of expression. Generally, everyone can distinguish a Norwegian disc from a French release, and a Swedish album from a Greek one! I consider myself as hunter of natural landscapes. Obviously, this aspect has a huge impact on my music! I think that Italy has developed its own personal style which is not very similar to the other Southern European scenes. However, it is undeniable to admit cultural and stylistic convergences with the rest of Southern Europe. Personally, I love old and contemporary Greek Black Metal! Do you have a long-term plan of what you want to achieve from album to album and as a body of work? Ahaha, absolutely not! Inspiration to create music comes suddenly and, for me, it is impossible to have a long-term plan! 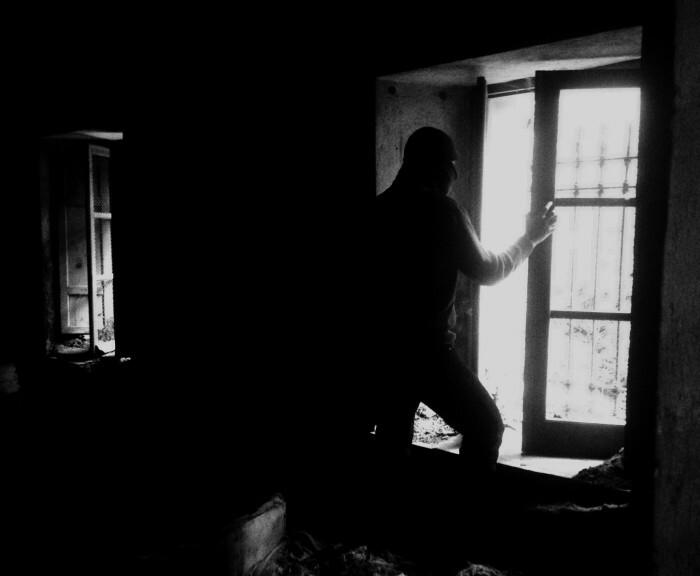 Rovine e Disperazione consists of five tracks named after either “Rovine” (ruins) or “Disperazione” (despair). Why did you decide to do a sequence like this? Are these numbered tracks part of the same song, or impressions of the same thing? Rovine e Disperazione is comprised of different songs about a single concept! The concept of this album concerns the disgust for the modern world, its spiritual decadence and the ideology of materialism (“Disperazione” I, II). It is the rebellion that has the aim of embracing a superior and heroic way of life, based not in the cult of the decadence, but in the traditional (pre-Christian era) values of Honor, Strength and Spiritual rectitude (“Rovine” I, II, III)! This is my manifesto for the maximal resistance against the modern decaying world! “Vi siete inchinati abbastanza davanti ai mercanti, ora ergetevi! Sfidate i ratti e i vermi che stanno ai vostri piedi!” = You have bowed enough to the merchants, now it’s time to stand up! You have to defy rats and worms that are at your feet! Do these have any influence in your musical world? Ancient, Varathron, Burzum, Sentenced, Sacramentum, Landser, Summoning, Kvist, Eucharist. How do you compose a song? Do you start with a melody and develop structure/arrangement from that, or do you start with riffs and add melodies to them? Or is there an idea, lyrical or visual, before you start even making the music? First of all, I compose music, starting from a simple riff and then slowly, or sometimes very fast, the rest emerges spontaneously. When a musical composition is definitely ended, I start writing texts; generally, each text follows a concept! For people new to your music, how should they get to know Infamous and how should they stay on top of band news, contact, and music? People who want to know more about Infamous can add my Facebook profile or my email. You’ve just recorded a new album, Tempesta. What is the theme of this album? How does it differ from the past? Where did you record it, how long did it take, and did you have other musicians involved? Tempesta (Storm) is a radical hate declaration against all the subhumans defeated from the disvalues of this decaying modern society. I hope, therefore, a “Storm” that will destroy everything that continues to infect our blood and our minds. The main enemies in this concept are the economicist view, the bourgeois way of life and modern human weakness in general! Tempesta follows a natural and spontaneous “evolution” of the classic Infamous style! On this album you can hear a more powerful sound, an atmosphere of struggle and victory that extols to the revolt! The recordings lasted half a year at various sessions, and I used the voice of Filippo Magri in “Tempesta II”, who is a friend and someone I respect! Your previous album, Rovine e Disperazione, seemed to take a more Ildjarn-influenced direction as opposed to earlier works, which had longer melodies and remind me of Varathron Walpurgisnacht if it were expressed with a stronger, more naturalistic mentality. Does Tempesta continue this pattern? In this album I think that the Ildjarn influences are implemented, especially in “Tempesta II” where percussion is heavily influenced by the Norwegian artist. Also for the harsh sound and radical extremism of disgust against the modern man, Ildjarn represents a landmark! From the progression from early works through Tempesta the general atmosphere of mysticism, which refers to the idea of a primordial nature in its purest form, is partially changed. I have radicalized certain sounds and the general attitude and probably now everything sounds more agressive. This is a natural and spontaneous evolution. As I understand it, this release is limited to 100 CD-Rs. Why did you choose to go this route, as opposed to a larger label? Will you ever seek a label to do bigger re-issues of your discography? This is a radical anti-commercial choice! I’m not interested in big productions! This is the path that allows me to recognize immediately if a riff has the emotional power to be part of a song. Then I took a radical decision and I chose to produce everything by me; every step is taken personally and the choice of the number of copies to be printed is now proportionate to the copies that I can sell. Simply, if I had printed 1000 copies, 900 would remain collecting dust in my basement. Few are willing to buy original CDs, especially for bands not yet known. This happens a bit “everywhere” but in Italy the situation is even worse. Why do you think black metal is in such a slump these days? Vattnet Viskar and Myrkur get a ton of publicity, and good underground bands get ignored; is this related? Everything is for sale in this world and if you try to be famous you have to spend some money! This is the only key to a successful career! You have to consider your band as a company and your music-art as a business. I’m about to throw up as I write this… But this is the truth! Obviously I am not interested to take a part in this circus, I never dreamed the fame and do not want to look like a rock star. All this is so pathetic! I would destroy all this! I use my music to sing my hate against those that spoil the Black Metal and trying to making it a cute, harmless and fashionable music genre.